By the time you read this, it’ll be official - SIG Building Plastics and SIG Windows will be part of GAP! We’re delighted to be able to welcome you on board and hope you’ll accept our box of little GAP gifts as the first step towards making you feel part of our team. You’ve joined a very ambitious family business that has spent the last 24 years growing steadily into one of Britain’s best-known and best-regarded suppliers of PVC-U and GRP building products. As with most privately-owned organisations, we’re all involved in the day-to-day running of the business. We understand that we owe our success to hiring and retaining amazing people, and supporting local tradesmen with the best quality products at the keenest possible prices. Having started life as distributors of other peoples’ products, 9 years ago we decided to make all our own products so that we can control the entire supply chain. Since then, we’ve constantly grown our Depot network and our delivery fleet, and invested heavily in technology within our factories. And we’ve done all that with one goal in mind - to become the leader of Britain’s building plastics market. Though this deal is a big step towards that goal, we appreciate that it means change for a lot of people - and we understand that change can be unsettling. As soon as we’ve all had a chance to meet and share our plans, we’ll begin the process of changing the look and feel of the SIG Building Plastics and SIG Windows Depots so that they appear to be part of the enlarged GAP family. We’ll also start making some important decisions about products and brands. If you pride yourself in putting customers at the centre of your working day and thrive best in a friendly, supportive, lively and fun environment - you’ll enjoy being part of the growing GAP family. We’re confident that together we’ll all be able to achieve much more than either business could have achieved on its own. Everything you need to know (and quite possibly some stuff you don’t) can be found below. As ever though, you can’t beat face-time and so we have a busy schedule of Depot visits and meetings lined-up to make sure you get to know relevant colleagues as quickly as possible. Once again, welcome to GAP – it’s great to have you with us. 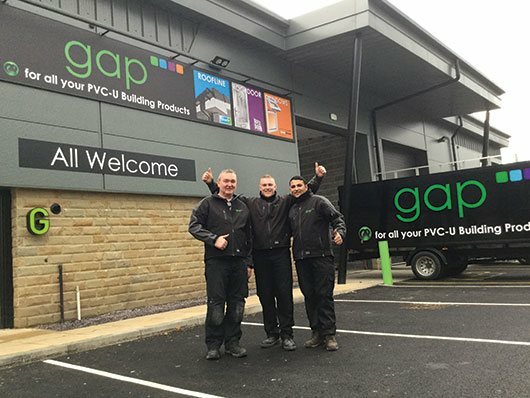 GAP is a successful and respected privately-owned business based in Blackburn, Lancashire that owes its success over the past two decades to its passion for investing in the growth and development of its people and to delivering world-class customer service. These commitments remain at the heart of our core values. We make our own PVC-U building products so that we can control the entire supply chain. In this way we’re different from distributors like SIG Building Plastics. When we looked at SIG Building Plastics and SIG Windows we saw a well-run, profitable division within a PLC that seemed to have similar values and which we felt could benefit from our structure. 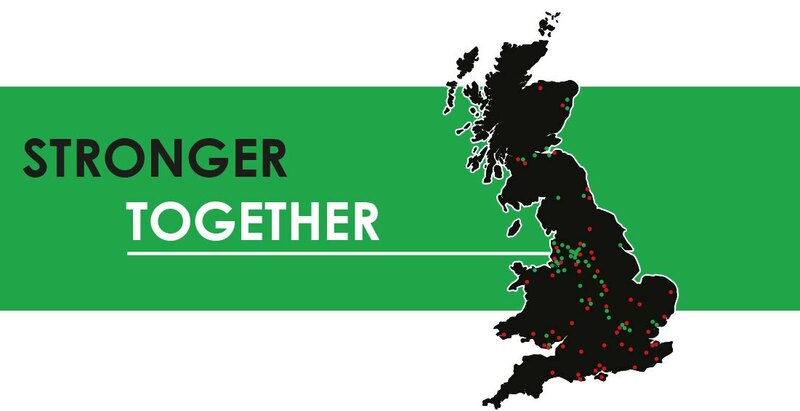 Its 66 Depot locations will fit together perfectly with our own 46, its people will enjoy being part of the GAP family - and we’re confident that together we’ll all be able to achieve much more than either of us could have achieved on our own. It all makes for a blissful marriage! We meet the needs of our 31,000 customers nationwide - including several of the UK’s national and regional house builders, maintenance contractors and housing associations - through two large factories and our network of 46 Depots. We hold £5m of fast-moving stock across our Depot network and a further £2m at our Central Warehouse. It means we can usually meet our promise of having what customers need - when they most need it. Over a million items are picked each year from our Central Warehouse and make their way to our Depots via 195 deliveries every week (that’s an average of 4.24 deliveries/Depot/week). Nearly 75% of deliveries are made overnight to ensure stocks are ready for early morning customer collection or delivery. Our large fleet is split between larger trunking units and local direct-to-site delivery units. It comprises 25 x 7.5t trucks, 45 x 3.5t trucks, 6 x HGVs and 3 x 18t trucks. Products are transported in boxed units rather than on flat beds to guarantee that they arrive in perfect condition and are ready for immediate use. The fleet is being expanded immediately to make sure the additional demand from the enlarged group will be met. We all owe our growth and success to our ability to recruit, retain and develop talented individuals. The likelihood is that the combination of such strong organisations will create more jobs and lead to even greater personal and professional development opportunities. There are striking similarities between various day to day roles within the companies. Each business relies on Depot teams to run safe and disciplined business units and engage trade counter visitors, on sales and business development professionals to win and grow customers, on relationship specialists to manage customer expectations and needs, on a marketing team to manage communication and awareness via traditional and digital media channels, and on a commercials team to meet the needs of national and regional house builders and property maintenance contractors. What’s in it for my customers? Customers stand to benefit from a wider choice of products, greater control over the supply chain by virtue of the enlarged group’s vertical integration, more local access (we’ll be able to offer supply from a 100+ Depot network stretching from Inverness to Exeter) and the combined energy of respected and long-standing operators in the building products sector. 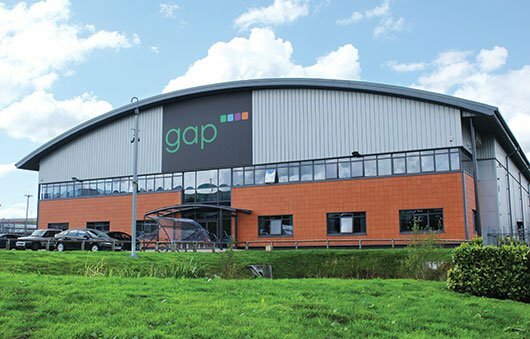 GAP has spent 23 years developing a strong and consistent brand across its 46 Depots around the UK – and our Depot teams constantly tell us how much they like to look and feel part of the family. Once we’ve spent a few months getting to know each other, we’ll begin the process of ‘GAPtising’ the 66 SIG Building Plastics and SIG Windows Depots so that they look the same as the existing 46 GAP Depots. Our group communications team will make sure all changes are clearly communicated well in advance. We make and sell roofline products under our Homeline brand, doors under our Rockdoor brand, and windows under our Homeframe brand. We also distribute some non-standard products (eg silicone, bi-fold doors and rubber roofing) on behalf of other manufacturers. Our Homeline range of PVC-U fascia, soffits and cladding products are made in our own factory in Aberdare, South Wales. With a dedicated mixing plant, 12 extrusion lines, 2 foiling lines and a 100 + workforce, Homeline is one of the largest manufacturers in the industry. We also make Homeline Core - the UK’s only BBA approved recycled roofline. Core has become the cellular brand of choice for many of the UK’s house builders. Launched in 1996, Rockdoor is one of Britain’s best-known and most trusted PVC-U external door brands. Widely-regarded as the UK’s most secure and thermally efficient door, we currently manufacture 200-300 bespoke Rockdoors each day in our high-tech production and innovation centre in Lancashire, and supply them to Britain’s homeowners through our trade customers. 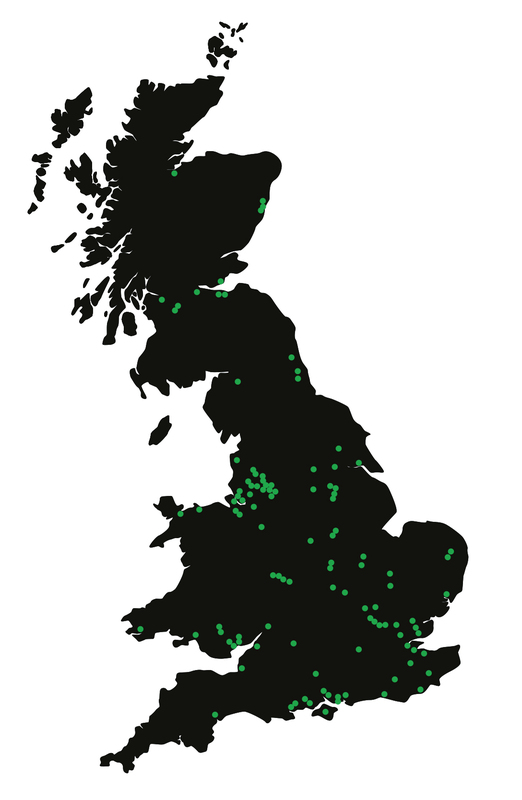 Many are fitted by our own nationwide network of Rockdoor Trusted Installers. We started distributing PVC-U windows throughout our depot network in 2010. Then In 2014 we decided to make our own and invested over £5m in a production facility on our GAP campus in Lancashire. Using Spectus PVC-U profile, the facility currently manufactures 800-1000 Homeframe-branded units each week and is about to be further developed to meet demand from the enlarged business. As well as distributing our own manufactured brands, we’re proud to be strategic partners with many other well-known and highly-regarded building sector product ranges. You’ll already be familiar with most, but if there’s some that you haven’t yet come across, you won’t be in the dark for long! A busy programme of familiarization workshops and Open Days will swing into action over the coming weeks and months. Details will be communicated once we’ve had a chance to get a feel for who needs what and where! To start with, not much will seem different. The businesses will operate independently of each other in much the same way as they always have. Over the next few days, weeks and months, everyone within SIG Building Plastics and SIG Windows will receive various communications and personal visits from their new GAP colleagues as we all try to get to know each other and understand how everyone works. Our company founders, Charles Greensmith and Simon Bird, together with Simon Brayshaw (our Chief Executive) and Paul Sowerby (our Sales & Marketing Director) are working their way across all of your depots trying to visit as many of you as possible. With 66 depots it might take some time, but they’re working hard to get to all of you in the coming days and weeks. We wanted to share with you a few pictures from their journeys so far here. We don’t want to bombard you with names and faces from the start, but here are just a few friendly names and faces within GAP that will always be happy to help. The downloadable PDF (please click on the picture) includes names, pictures and contact details of all the Directors and Senior Managers here at GAP. Please feel free to call or email with any questions you may have. Looking after existing customers is hugely important to us here at GAP as it’s what we’ve built our business on, but we’re always on the lookout for new customers to help us grow and be successful. Therefore we wanted to introduce to you our outbound marketing team, based in Blackburn, that work tirelessly to win new customers, reactivate dormant customers and much more in-between. Most of you should have received the welcome box we sent out containing our brochures and a few goodies, but incase you missed it, please find a link below to each of our group brochures we have available. From the GAP Product Guide (which is now being updated to include all the new depots and new products), through to Rockdoor, Homeline and Homeframe, you’ll find them all below. We also have copies of brochures of bought-in products such as Origin and KAT Aluminium Windows and Bi-Folds. After this initial phase we will start to look for ways to physically integrate the two businesses and identify opportunities for personal and professional development within the enlarged group. If anything is unclear – just ask, and bear in mind that everything we think you’ll want to know can be found here with our Q & A’s.